A project scorecard includes all the details of a certain project that an organization works for. 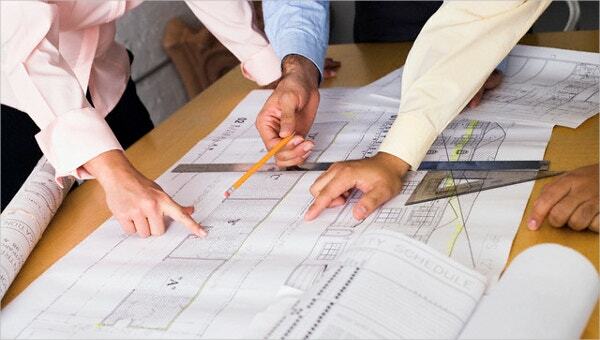 It is an essential component of a business when managing and analyzing projects. It contains the project specifications and the deadlines of the project that when is it to be started and submitted. You can also see Scoreboard Templates in Microsoft Word Format. This scorecard also includes the contribution of each and every employee in the project that which individual or a group of individuals has done what and for how much time. In this way, these projects can be dealt both efficiently and effectively. Examples may be viewed in which samples and formats are present. You can also see Scoreboard Templates. With this kind of template, you can easily visualize difficult information in a way that is simple to understand, in addition, it allows you to track progress, identify any kind of delay that may arise and enables you to observe how long the task take in order to be completed. This template is very important in any type of project; you can use it in order to stay on budget throughout an entire project. It enables you to track labor, materials used, actual and fixed costs. It enables you to stay updated with whatever item that is needed at place of work. You can also see Basketball Scoreboard Templates. When managing a large amount of resources, a timesheet is the most effective item that any organization requires. With this type of template, the whole project team can easily track availability of resources on a weekly basis. This will enable them to detect who is committed and who has more time. 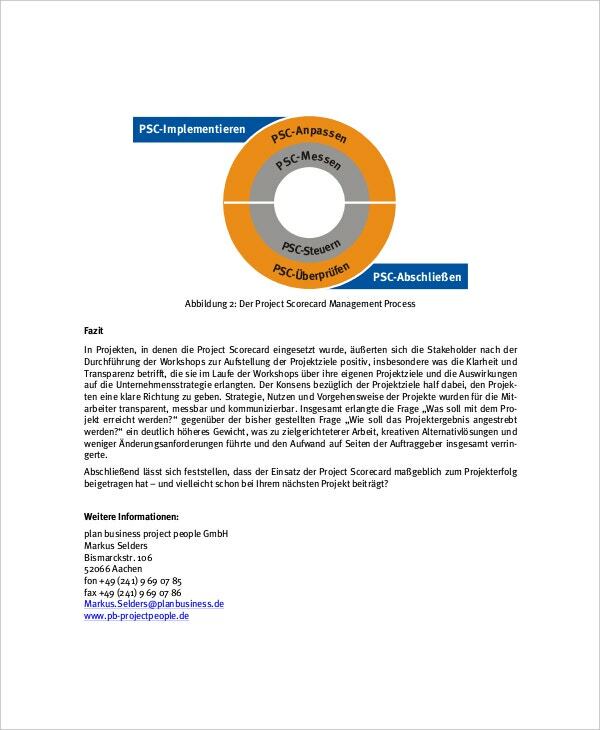 > What are the uses of Project Scorecard? 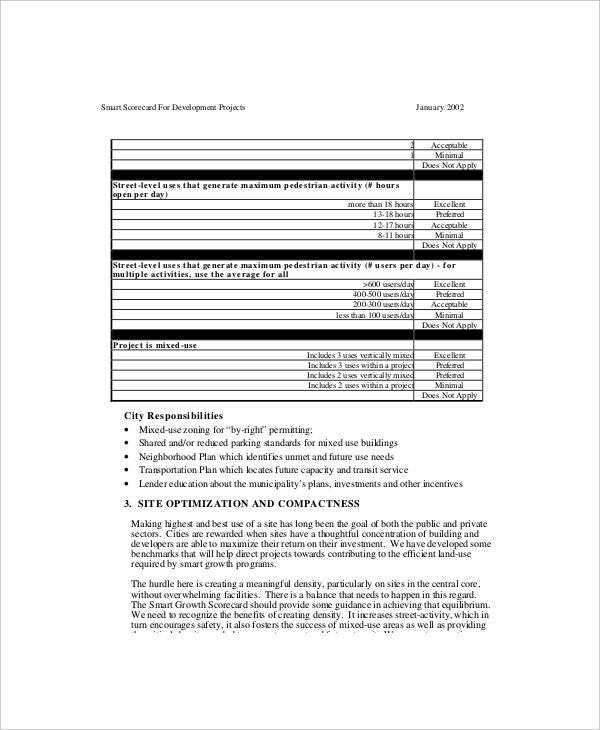 This type of template is simply available to highlight any kind of problem that may arise in a business organization or company; it can be used to streamline project tracking in order to indicate the performance budget, schedule, possibilityand quality. It also acts as subjective evaluation of project health. 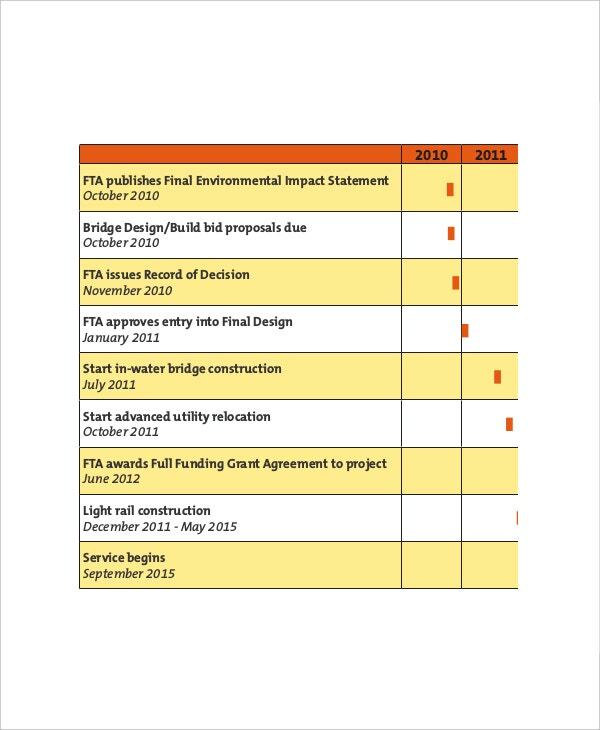 Regardless of whatever method that is used to indicate the overall project performance, in addition, proper use of this scorecard can indicate the project area which is not performing to established standards but can be recovered using the resources currently available and also indicate the overall health of project portfolio. You can also see Football Scoreboard Templates. 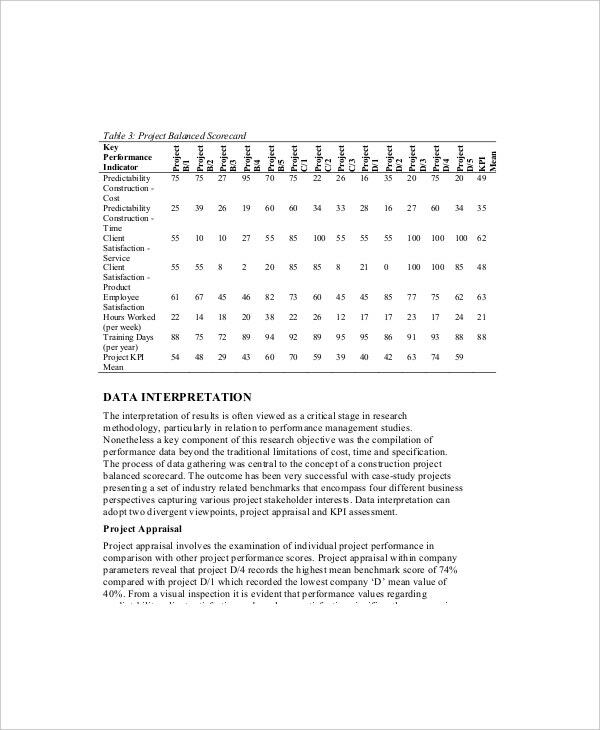 > What are the Objectives of this Project Scorecard? With proper schedule you can easily measure how long it will take a project to be completed, it accurately indicates, whether it’s being done in time, ahead of time or behind time. The template also has a starting point can be used several times, with this scorecard, a company doesn’t have to create a framework each time they want to report to investors, communicate status of the project, or track issues since the foundation is already built in a way that suits the organization’s needs. Moreover, it helps in alignment of strategy, people, resources and any action plans in the company. You can also see HR Scorecard Templates. 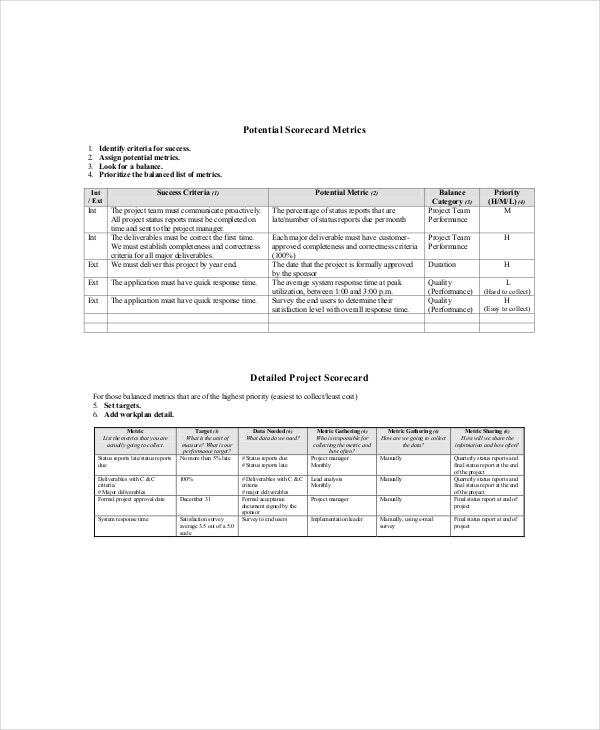 In conclusion, you can find the top project management scorecards available in Excel sample templates that you can download for free from this site. 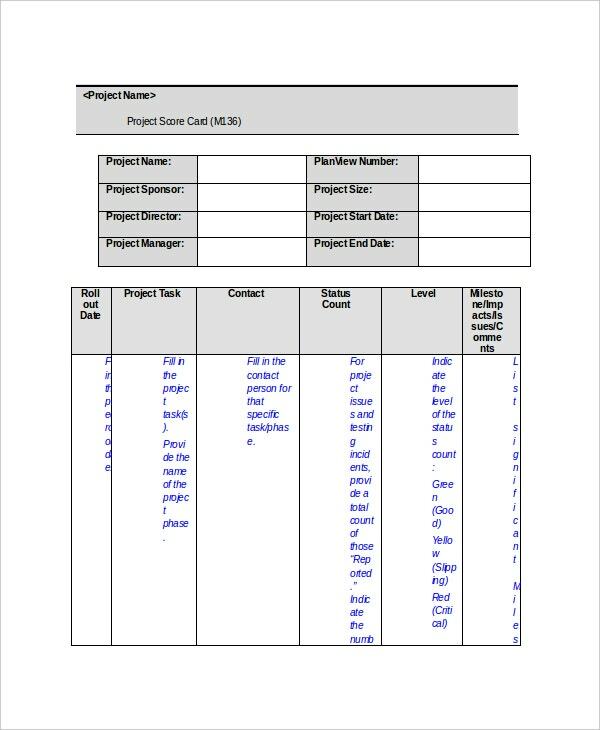 You can as well go through all the different types of templates to choose one that can make project tracking easier to your organization or company.